Facing a climate crisis, we may someday spray sulfur dioxide into the upper atmosphere to form a cloud that cools the Earth, but suddenly stopping the spraying would have a severe global impact on animals and plants, according to the first study on the potential biological impacts of geoengineering, or climate intervention. The study was published online today in Nature Ecology & Evolution. The paper was co-authored by Rutgers Distinguished Professor Alan Robock, research associate Lili Xia and postdoc Brian Zambri, all from the Department of Environmental Sciences at Rutgers University-New Brunswick. Other co-authors were from the University of Maryland, Yale University and Stony Brook University. "Rapid warming after stopping geoengineering would be a huge threat to the natural environment and biodiversity," Robock said. "If geoengineering ever stopped abruptly, it would be devastating, so you would have to be sure that it could be stopped gradually, and it is easy to think of scenarios that would prevent that. Imagine large droughts or floods around the world that could be blamed on geoengineering, and demands that it stop. Can we ever risk that?" Geoengineering means attempting to control the climate in addition to stopping the burning of fossil fuels, the main cause of global warming, Robock said. While scientists have studied the climate impacts of geoengineering in detail, they know almost nothing about its potential impacts on biodiversity and ecosystems, the study notes. The geoengineering idea that's attracted the most attention is to create a sulfuric acid cloud in the upper atmosphere as large volcanic eruptions do, Robock said. The cloud, formed after airplanes spray sulfur dioxide, would reflect solar radiation and cool the planet. But airplanes would have to continuously fly into the upper atmosphere to maintain the cloud because it would last only about a year if spraying stopped, Robock said. He added that the airplane spraying technology may be developed within a decade or two. In their study, the scientists used a global scenario with moderate cooling through geoengineering, and looked at the impacts on land and in the ocean from suddenly stopping it. They assumed that airplanes would spray 5 million tons of sulfur dioxide a year into the upper atmosphere at the Equator from 2020 to 2070. That's the annual equivalent of about one quarter of the sulfur dioxide ejected during the 1991 eruption of Mount Pinatubo in the Philippines, Robock said. The spraying would lead to an even distribution of sulfuric acid clouds in the Northern and Southern Hemispheres. And that would lower the global temperature by about 1 degree Celsius (about 1.8 degrees Fahrenheit) - about the level of global warming since the Industrial Revolution began in the mid-1800s. But halting geoengineering would lead to rapid warming - 10 times faster than if geoengineering had not been deployed, Robock said. The scientists then calculated how fast organisms would have to move to remain in the climate - in terms of both temperature and precipitation—that they are accustomed to and could survive in, he said. "In many cases, you'd have to go one direction to find the same temperature but a different direction to find the same precipitation," Robock said. "Plants, of course, can't move reasonably at all. Some animals can move and some can't." He noted that national parks, forests and wildlife refuges serve as sanctuaries for animals, plants and other organisms. But if rapid warming forced them to move, and even if they could move fast enough, they may not be able find places with enough food to survive, he said. One surprising side effect of rapidly starting geoengineering would be an El Niño warming of the sea surface in the tropical Pacific Ocean, which would cause a devastating drought in the Amazon, he said. 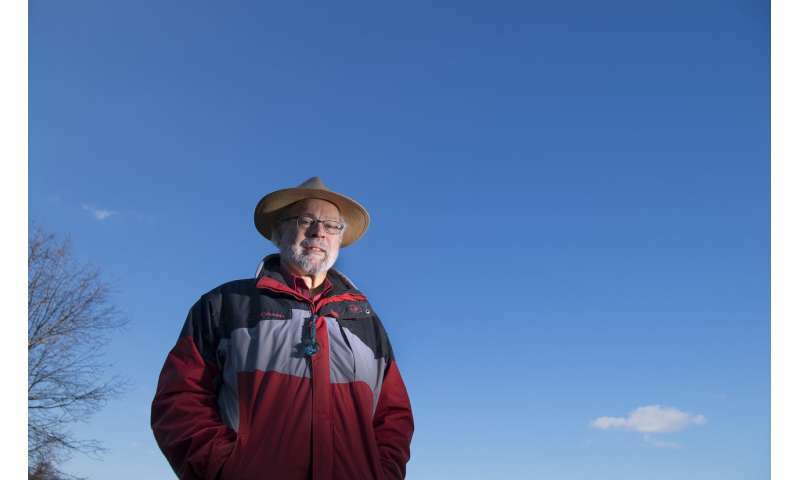 "We really need to look in a lot more detail at the impact on specific organisms and how they might adapt if geoengineering stops suddenly," he said. Could 'cocktail geoengineering' save the climate? Chemtrails are here to stay. "One surprising side effect of rapidly starting geoengineering would be an El Niño warming of the sea surface in the tropical Pacific Ocean, which would cause a devastating drought in the Amazon, he said." -How is this anything but a wild guess? Don't believe anything you read from soft science dept shitholes. So, once we get into geoengineering, world wars become a huge danger, so we have to quit them or maybe all wars. Interesting. Amazing there is no concern for the unintended consequences. Better to fill the ocean with white dye and paint the deserts white, thereby increasing the albedo. Maybe we could get acid rain? .......once the AGW geniuses start tinkering, something compels them to never stop.......hang onto to your hat, we may be in for wild rides ahead if they ever gain overwhelming political power for creation of their dictatorships. Disregard the votes. Most people who vote here do so based on the name of the commenters not on the content of the comment. These dumb A-holes will kill us all. Instead of spraying toxins, why not spray good old water? Water is benign to the atmosphere, forms clouds to increase albedo and shade the surface, helps to alleviate drought, replenishes glaciers at high altitudes, absorbs heat through evaporation and is non-toxic. How ironic that you are trying to inform mackita, the latest incarnation of the prolific crap poster Zephir, about how voting works. He's been around since phys.org (formerly physorg.com) started allowing comments in 2007. And he's been accused of creating his own sockpuppet armies to downvote other people. Not only does he know how voting works, he's not above abusing it. Just because mackita knows and you know and I know and thousands of others know does not mean we should ignore the question. There are too many here who feel that they own this forum and drive away any and all newcomers with their supercilious attitude.